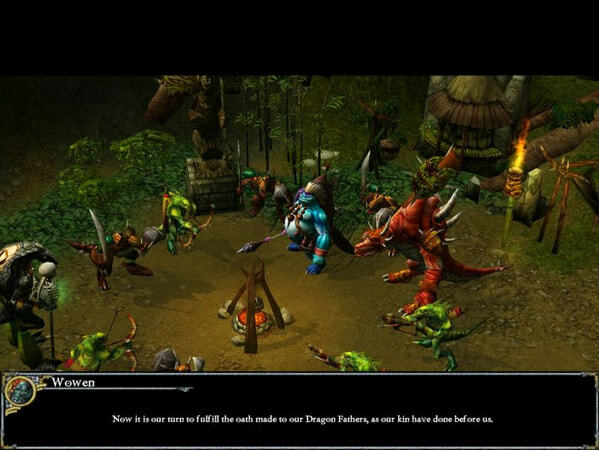 Company: Liquid Entertainment / Hasbro Inc.
Dragonshard is a hero-dominate RTS. It’s foundation is the traditional base-building, unit-controlling RTS with a action-RPG hero thrown on top. Choose a hero at the beginning of each level. There’s a sneaky, handsome rogue, a small-framed magic elf, a squat healer-druid, and a big, dumb robot. Your hero is the dominate damage dealer and damage sponge of the army. They have a damage causing attack, a hero-specific action, and a unit modifier, and access to items found along the way. Each unit type has access to a set class specific actions. A class has access to actions equal to their level. A classes maximum level is determined by the number of matching class buildings in a quarter of your keep. Increasing a classes level costs experience. Dragonshard splits in map into above and below ground. The area, for example, is primarily set underground with the hero & crew having a pretty traditional dungeon crawl through a mountain. One above ground ravine dips low enough to connect with the below ground dungeon, and serves as a base-building area for the level. Windows XP, 2 GHz Processor, 512MB RAM, 128 MB 3D graphics card compatible with DirectX 9.0c and Hardware T&L, Mouse, Keyboard. Enter a world of natural magic and ancient races: Dungeons & Dragons Eberron – a war-torn realm, home to an artifact of supreme power coveted by all. Commanding your troops is only part of the war. Deep beneath the conflict, you’ll send heroes to an RPG-based underworld of beast and bounty. Note: use contact/request page for requesting. how am i suppose to download the game. make sure you have a torrent downloader and then click on the download link. Just right-click the download link and choose copy link address. You now have the magnet link. Just paste it on the torrent under “add torrent from url”. I had followed the procedure but the download doesn’t start, are the peers still operative? We have updated the download link. 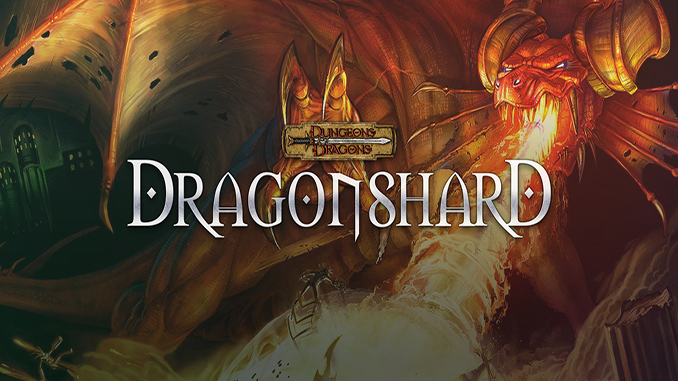 If you install the game make sure you run the setup_dungeons_and_dragons_dragonshard.exe as admin.